Draftkings vs FanDuel – What DFS Site is Best? Daily Fantasy Sports is continuing to grow and expand since its boom in 2014. Though it started as early as 2009, the online skill betting games available through DFS platforms have since a steady increase in players, payouts, and the number of sports offered across platforms. As of now, two big dogs are battling in the daily fantasy sports arena, with every other company competing for third place. DraftKings and FanDuel are the two mega-fantasy sports websites currently ahead of the game, but deciding which site to play can be a difficult choice. Although there is no real way to determine whether DraftKings or FanDuel is better, as it is subjective, you can still educate yourself on the pros and cons of both sites to make an informed decision. Whether it’s bonuses, payouts, specific sport leagues, or tournament events, we dive into the factors to look at when deciding which website to play on. Let's take a look at DraftKings vs FanDuel, which one is better. According to a recent independent third party report that analyzed the DFS financial market over a twelve month period that went 8 months into 2017, the entire industry had a handle of over 3.2 billion. Both FanDuel and DraftKings boost excellent reviews for their mobile apps, as the on the go versions of the platforms are nearly perfect in all of the available features. Overall player experience conveys an enormous amount of reputation for each of the DFS companies, however, “professional” players still prefer the stronger management advantages with the desktop version of the application. There is currently no exact number on the total amount of users for each Daily Fantasy Sports site as of 2018 due to many registered users playing on both DraftKings and FanDuel. however, according to sources close to the merger deal that was on the table in late 2017, the two companies have a combined 5.5 million users on the two platforms. The user base category, therefore, results in a tie! FanDuel began its funding almost three years before DraftKings through an unknown Angel investment in 2009. Now the company has raised just over $416 million over seven different funding rounds. In direct competition with DraftKings, FanDuel managed to gain $275 million in Series E funding to bring up their cumulative funding with both Google Capital and KKR backing them. The most recent funding news is that FanDuel sought inward for additional funding through a Convertible. Note round raising over $55 million. This is good news for players of FanDuel, as the site directly puts their funding into developing new products, acquiring new customers, and building an all-star management team. There is no question that FanDuel is continuing to try to lead the Daily Fantasy Sports industry. DraftKings started its initial seed funding round with just $1.2 million dollars back in 2012, and has since then reached late stage venture funding into Series E rounds. It’s latest funding round lead by Eldridge Funding resulted in raising $118,650,000, which now places DraftKings at nine total funding rounds. The company has also attracted large sports companies in the past funding, which will continue to solidify their market hold. A substantial chunk of the largest $300 million dollar round in 2015 funding came from Fox Sports, who paid close to $150 million into DraftKings, which gave Fox Sports an 11 percent stake in the site. This site is currently in the lead as far as funding goes, with a now total of over $715 million. This new funding round will mostly go towards the creation of new products and features, as well as continuing the expansion into international space. The numbers do not lie, DraftKings comes out on top with just under $300 million more in funding. Although both companies have raised hundreds of millions, started expanding around the world, and recently acquired three companies each in the DFS market, DraftKings has a substantial lead in funding and wins this round. FanDuel currently gives their participants a 100 percent matching bonus for their first deposit up to $200. The bonus will be unlocked from a bonus account at a 4 percent rate for each contest entered. This means that if you pay a fee of $50 to play in a game, you’ll unlock $2 into your account, which you can use to win a greater prize. This deposit bonus will never expire, and will continue to unlock for withdrawal at the pace that you enter into tournaments and competitions. FanDuel does not allow you to withdraw the bonus money right away. However, you can withdraw the additional money that you earn from the unlocked pool. FanDuel also hands out reload bonuses. Be aware that these do have an expiration date, and so you must use them before a given date. The site typically will remove a bonus after 45 days of it going unused. DraftKings has a similar 100 percent matching bonus, but will allow you to double your first deposit up to $600. The match bonus will only be available for the first 10 minutes after you successfully register! Besides the matching bonus, DraftKings will give you an extra $3 to enter into your first contest. Once the deposit bonus has been put into your account, you must use Frequent Player Points to unlock it. For every 100 Frequent Player Points that you earn, $1 of your bonus will be inputted into your account. You can gain these points by playing in money leagues, and the number of points gained depends on the cost of entry. To unlock $1 of your bonus, you must spend $25 of your own money, which ends up being equivalent to FanDuel’s 4 percent rate. The match bonus is a great way to boost your bankroll as well as pad your competition entries over time. Both sites have the same bonus unlock rate, as well as extremely similar reload bonuses and promotions. The only reason that DraftKings wins the best promotions is because they will give you a larger bonus amount on your first deposit. However, this is only advantageous if you deposit more than $200 on your first go. DraftKings vs FanDuel: Which Sports are Available? FanDuel offers many of the same league options as DraftKings but is lacking in some league departments. Additionally, you will not find as many options when it comes to the big contests on FanDuel. As far as league options go, DraftKings offers a much wider range than FanDuel. They offer eSports, MMA, PGA, and NASCAR, which FanDuel does not. DraftKings differs from FanDuel in that it provides a lower rake for their high stakes games. Additionally, you’ll find more high stakes contests than at FanDuel. This is because DraftKings is set up to handle a larger volume of players. Due to DraftKings excellent VIP opportunities, as well as extensive league options, it comes out on top in this department. FanDuel gives you the chance to play a salary cap format for your football leagues, which draws many people to their website. These salary cap leagues are called weeklong leagues, although the majority of the action occurs on Sundays. There can be as few as two people in these leagues for head-to-head action up to over 100,000 people for massive tournaments. FanDuel’s salary cap is $50,000. DraftKings also has a salary cap format. However, it allows for a higher salary cap of $60,000. Another advantage of DraftKings is that you can have a flex player. In regards to scoring, DraftKings and FanDuel are very similar with only minor differences. DraftKings also is known to give out more bonus points than FanDuel, as you can gain bonus points for both 100+ yards receiving and 300 yards passing. The player pricing for DraftKings is based on an algorithm that takes into account matchup, weather, location, past performance, value compared to other players, player popularity, etc. When it comes to NFL Gameplay, both DraftKings and FanDuel have their advantages. However, many people lean towards DraftKings for their higher salary cap and heavier bonuses. The NFL Players Association partnered with DraftKings in 2015, allowing players in the league to be able to appear in upcoming commercials. The partnership has increased both the number of players in the Daily Fantasy Industry as well as the total fan base of the NFL itself. Both DraftKings and FanDuel combine for 23 marketing partnerships out of 32 NFL teams in total. FanDuel has an incredible loyalty program known as FanDuel Players Club. The VIP system will be based off of FanDuel Points (FDPs) and will include stronger advantages than seen on the site in the past. You can expect larger increases in the prize amounts offered for each of the freerolls including the weekly promotions and live event giveaways. All the rewards get better as you rise throughout the different tiers, giving players an incentive to earn more points within the month. 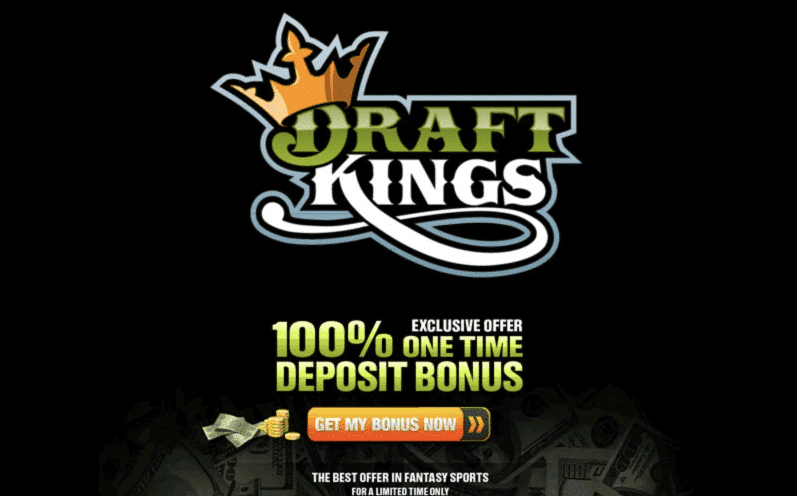 DraftKings also has an excellent VIP program that can make playing on it worth your while. Those that have a high gameplay volume will gain access to unique opportunities to enter into private contests, access to premium customer service, as well as the chance to see exclusive live footage. FanDuel comes out on top in this category due to recently updating and increasing their player program. However, both sites offer similar deals for frequent play and are highly beneficial for those who play in a lot of competitions throughout a month. DraftKings created beginner games that are perfect for gaining experience, especially for novice players. These games are only available to those players who’ve played less than 50 games in a particular sport. This beginner gameplay lets you get a handle on each type of sports before entering into the big leagues. For new players, this can give peace of mind, as well as the opportunity to learn while still playing for real money instead of just through free games. DraftKings lets you late-swap your players. This means that you can alter a player from your lineup right before that player’s game begins. On the other hand, FanDuel locks your roster in once the first game of the slate starts. This can be hugely beneficial for NBA fantasy gameplay as injuries are often announced at the last minute. However, it can also benefit NHL and MLB fantasy players since the lineups and goalies for the west coast games sometimes are not announced before the games on the east coast begin. One of the best parts of DraftKings is the ability to join the satellite contests. This type of competition allows you to win tickets to major tournaments with typically high buy-ins. However, there are also opportunities to win cheap tickets, such as a $10 ticket for a 25-cent satellite. This is an excellent chance to gain valuable tickets for an affordable price, no matter your bankroll, giving you the potential to play in contests that would usually be too expensive for your buy-in range. Why Should I Play on FanDuel? On FanDuel, if you don’t come out on top in your first competition, the site will refund your money to try again as credit. The bonus feature covers up to $120 and the money will only be available as credit on FanDuel. They set up their roster clearly so that every sport is simple to enter. There is no utility or flex, and players can only enter one position. The scoring is extremely straightforward, and so you will not experience any curveballs. However, FanDuel’s simplicity does not take away from the skills needed to be successful in the game or the fun. What it does do is make it easy for new player to enjoy their gameplay and quickly catch up to other players. It may be confusing that FanDuel’s lock-in is a benefit since DraftKings’ opposite late-swap is a benefit as well. However, since it comes down to personal preference, some may find the lock-in feature to their liking. If you do not want to have to follow the news all night then sticking to FanDuel’s locked-in gameplay can be advantageous. This allows you to pick your roster and then not have to worry about changing it once lock time starts. Another benefit of the locked-in roster is that you can see the ownership percentage of your players right away, as well as your opponent’s roster if you’re playing in a head-to-head game. Arguably one of the best features of FanDuel is that it allows you to check out your opponents before engaging in gameplay with them. If you click on any participant’s username, you can get a glimpse of their profile page. This shows you exactly when they signed up and the number of wins they made for each type of sport. However, keep in mind that just because a user is new to FanDuel or doesn’t have a high amount of wins, doesn’t mean they are new or bad at Daily Fantasy Sports. They may have just previously been on another site. DraftKings vs FanDuel: What Should You Play? Ultimately, it is your decision as to whether you want to try FanDuel or DraftKings out. If one of the site’s descriptions is calling your name, then begin with that website. However, the best way to truly test which site you like better is to try the free games on both sites and decide which one is your favorite. You can also deposit a small amount of money into each to figure out which suits you best. The good news is that the sign-up process for both sites is extremely easy, as is the deposit process, and so you’ll have no trouble trying both sites out. At the stage of the daily fantasy sports industry, it’s DraftKings vs FanDuel, with every other operator battling for third. We’ve assembled the following comparison of the two DFS titans. We’re not going to tell you whether DraftKings or FanDuel is “better” simply because that’s ultimately a subjective decision, but the tables below should provide you with a sense of which operator best lines up with what you’re looking for in a DFS site. This is arguably the greatest point of divergence between the two DFS leaders. DraftKings offers a wide array of sports that you won’t find in the lobby at FanDuel. 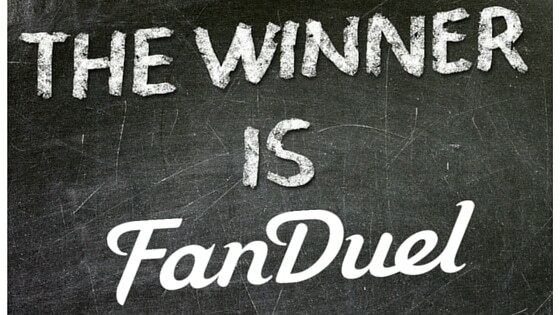 At the the top level, the platforms of FanDuel vs DraftKing are virtually identical. The differences emerge more in the areas of nuance and personal preference among individual DFS players. DraftKings vs FanDuel: Where Can You Play? Where you can play DraftKings and FanDuel is pretty much the same everywhere. You can plan in about 80 percent of the states in the US for both platforms. The only difference is Texas, where DraftKings still accepts users and FanDuel does not (for legal reasons). Internationally, both sites Canada and the UK. DraftKings just announced it was going to be operational in Germany and Malta. The tale of the tape on this front offers reasons to prefer both DraftKings and FanDuel. FanDuel held greater market share in 2014, but DraftKings has raised more money following a massive round in the summer of 2015. The sites were generally pretty close in terms of size, revenue and users through 2015 and the first half of 2016. Throughout the 2016 NFL season, the two sites were relatively close in terms of revenue, with DraftKings owning a lead in liquidity. DraftKings offers sports not available at FanDuel, and thus has revenue opportunities that its competitor does not during the less busy summer months. The two companies are planning to merge sometime in 2017. The quality of the leagues you play in should always be your first concern, though. This is what will keep you at a site long term. The sports offered by each site are basically the same, but the leagues offered are slightly different. Both sites offer College Football and Basketball, MLB, NFL, NBA, and NHL. DraftKings goes beyond FanDuel though, and offers PGA, NASCAR, MMA and Soccer leagues. Both have free leagues, and the quality of these is essentially the same. The main differences would be drafts and league structure within their matching sports. The two are very similar. The two major differences however, are the salary caps and the added position. On FanDuel you have a salary cap of $50,000 and on Draft Kings you can go up to $60,000. You also get a flex player on DraftKings. As for scoring, they are pretty much the same with some slight modifications. Receptions and fumble lost are the two big things that stand out. Draftkings is pretty heavy on points as well. They provide extra points for 300 yards passing and 100+ yards receiving. 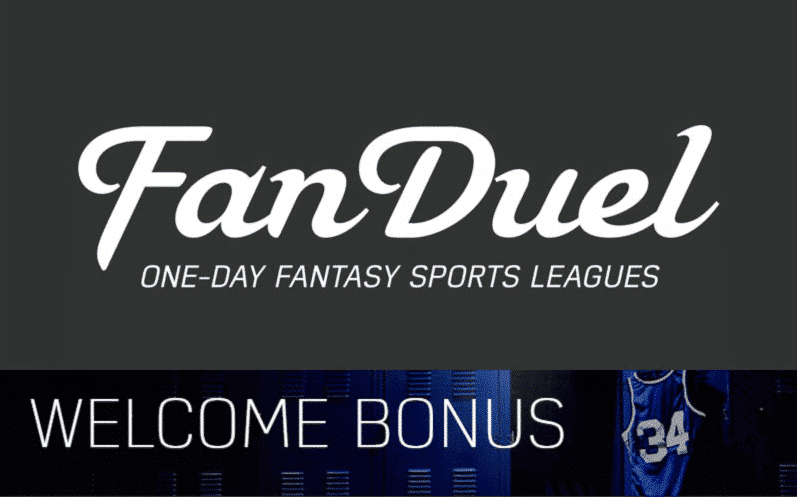 Draftkings or FanDuel – Where to Play Best? Daily Fantasy Sports is continuing to grow and expand since its boom in 2014. Though it started as early as 2009, the online skill betting games available through DFS platforms have since a steady increase in players, payouts, and the number of sports offered across platforms. As of now, two big dogs are battling in the daily fantasy sports arena, with every other company competing for third place. DraftKings and FanDuel are the two mega-fantasy sports websites currently ahead of the game, but deciding which site to play can be a difficult choice. 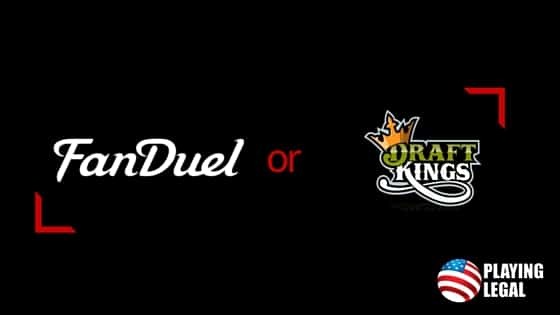 Although there is no real way to determine whether DraftKings or FanDuel is better, as it is subjective, you can still educate yourself on the pros and cons of both sites to make an informed decision. Whether it’s bonuses, payouts, specific sport leagues, or tournament events, we dive into the factors to look at when deciding which website to play on. Should I Play on DraftKings or FanDuel? DraftKings vs FanDuel: So, Which Site is Better?